The Bégué Coco Cabana sells ecological products in partnership with SEM Fund, the Sustainable Ecological Management Fund. 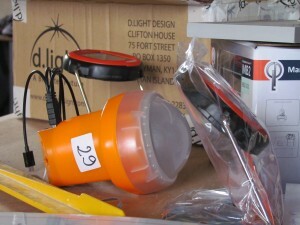 We not only sell these clean cooking and lighting products, but we use them too. The Prime gasifier cookstove improves the efficiency of combustion and thermal transfer to the pot compared with a traditional stove, three-stone fire or existing improved charcoal stove available on the market. Small pieces of brittle wood are burnt in a burning chamber under favourable conditions. This enables an almost complete combustion with low emissions of smoke and carbon monoxide. 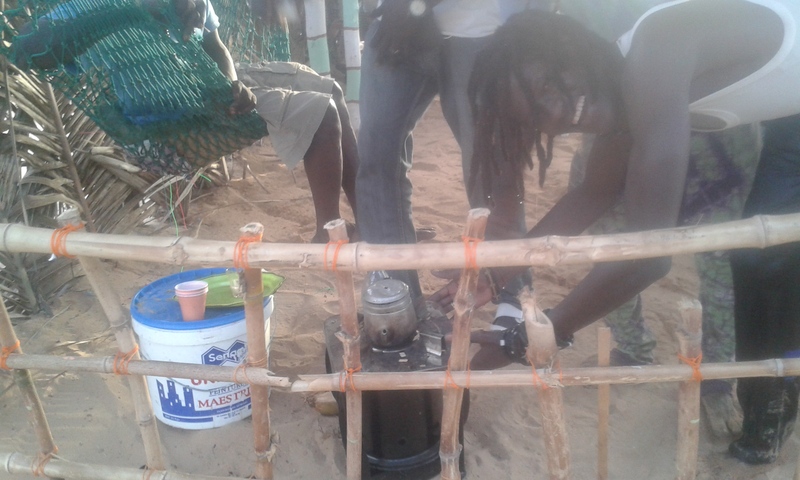 The stove is sold with a sustainable supply of renewable biomass that is cheaper and more environmentally friendly than charcoal. At Bégué Coco we have not only been using the stove to cook, but we have been using our own form of biomass—Coconut Shells and Husks. We like our product variation! The Eco-Sac is a locally manufactured temperature retention bag, which reduces the economic, health, time and labor burden of cooking in a way that is both affordable and environmentally sustainable. After a pot of food has been partially cooked, it is removed from its original cooking source and sealed inside the Eco-Sac. 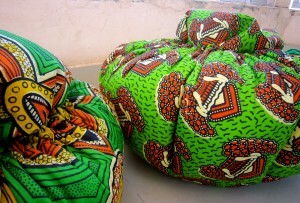 The Eco-Sac will continue to cook the food without any need for additional fuel. In addition, the EcoSac can also be used as a safe short-term alternative for refrigeration. By using this, the Eco-Sac will help families reduce cooking time, indoor air pollution, and economic and labor burden of fuel collection. Bégué Coco uses the Eco-Sacs to keep our juice cocktails cold at our beach stands. Our cocktails stay ice cold for up to 12 hours in these bags. It is 10 times cheaper than a cooler and prettier too! Designed to replace paraffin and short-life battery lamps, the diverse solar lights we sell offer adjustable brightness settings, individual solar panels, multi-functional stands and smart mobile phone charging. After a single sunny day of charging, the lights shine for hours, even days, at significantly higher brightness levels of currently available lighting sources. Furthermore, they are built to be durable and easy to use. You can pick them up, throw them around, drop them, and they will continue to work. At SEM we are about removing barriers so people at the base of the pyramid can access the best available renewable energy technologies. Therefore, quality and durability, are as important as pricing. Without electricity yet at the Cabana, lighting our space is very important for our cliants and cleaning up at night. While we have a number of cheaper rechargable lamps, the quality is nowhere near the same as these solar lamps and we have to bring them back and forth each night to charge. With the solar lamp there are three levels of lighting and we can even charge our cell phones with it during the day. This is a worthwhile investment for anyone without access to electricity.